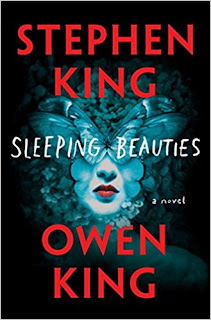 While I didn't care for how Chizmar wrapped up Gwendy's Button Box, I do think King's collaborations with Straub (The Talisman & Black House) are some of the best work he's done, so I'm really excited to see what he and Owen do here. Hopefully, the proverbial apple hasn't fallen far from the tree! It's been a while since I read a Stephen King book as I've found the last few I looked at disappointing but I'll wait and see what the reviews say before I decide! I'm definitely curious to see how this collaboration goes. Can't wait! I haven't read a King novel in a while - I need to get back on the train with this one!